I was a little nervous about going to my first graduation as a CWA. I took it as a good sign as I try to find a park. The car park was full – a good indication that people had turned up. I went up the stairs and was greeted by a very welcoming gentleman. There were drinks and nibbles on arrival. I quickly scanned the room to seek out any familiar faces. Somebody called out my name, one of the graduates. I’m glad I have my name badge on. I spotted a few assessors and went to speak to them. The room was buzzing, it was such a great feeling. People were chatting, some brought their children and I can see some hopping from one foot to another, and then diving into the cool drinks and lovely spread. Then it was time to take our seats. 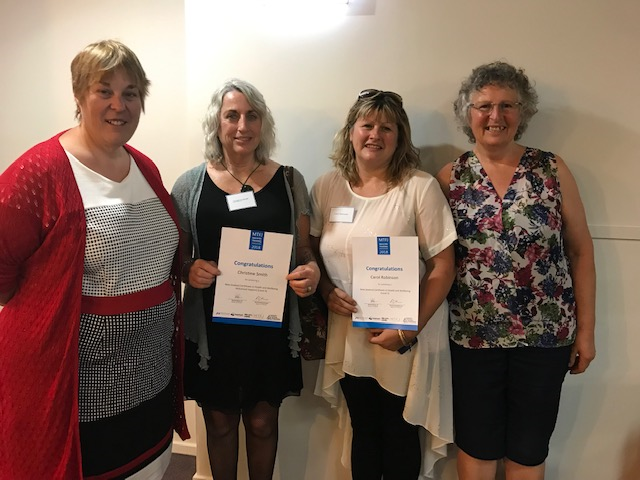 This was the first combined industry training graduation of the Tasman District Council hosted by both mayors, Mayor Rachel Reese of Nelson and Mayor Richard Kempthorne of Golden Bay. This is their way of recognising graduates of industry training who are contributing to the Tasman communities. The MC for the night welcomed all of us and talked about how the night would run. Each graduate will be called out along with the qualification they achieved. They’ll come up to receive their certificate, shake hands with the mayors and get an official photograph taken. Mayor Rachel Reese spoke first and said that it feels very special to see all those graduating tonight with their families and especially with their children. She said that as parents, they are great role models and an inspiration to their children. She encouraged the young ones to shout, clap and ‘wahoo’ as loud as they can when their parents name are called out. It warmed my heart to see one man in particular who achieved the New Zealand Certificate in Business (Level 4) in Frist Line Management. He proudly received his certificate, had his photo taken and as he returned to his seat beaming, his two children were standing and waiting to give him a high five each and then followed by the biggest hugs! I’m so pleased to report that we had the most graduates in attendance that night. 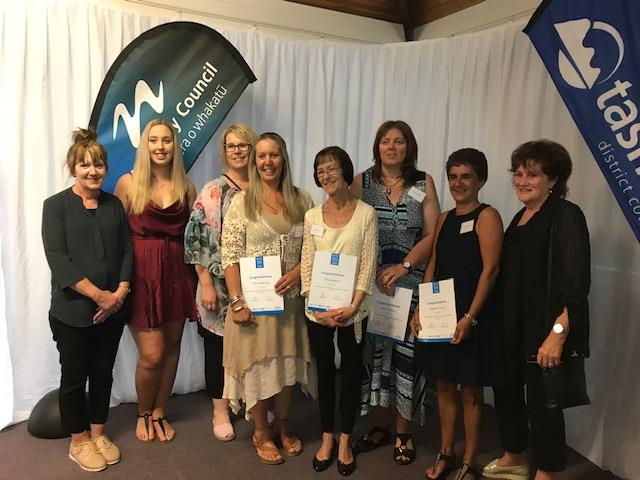 I feel very proud that through my role as Careerforce Workplace Advisor and in a small way, have contributed to the lives of our graduates, their families and the Nelson and Tasman communities. Really, one of the best things about being at Careerforce and being a CWA is seeing the looks of achievement on the graduates faces and the cheers and clapping from their families and friends. Well done to all!